The U.S. 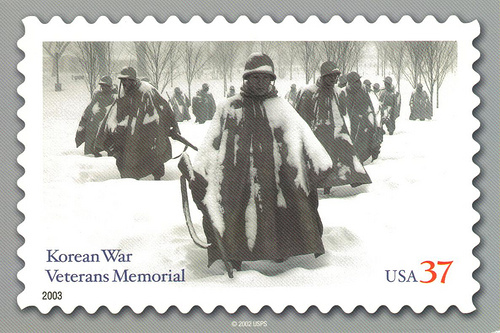 Postal Service issued this stamp to honor Korean War Veterans. Although thousands of soldiers from both sides died, or were injured, the war ended with an armistice, not a peace treaty. Hostilities between North and South Korea continue. Image online, courtesy U.S. Postal Service. The UN troops (Americans - pictured at the Pusan Perimeter in 1950 - and their counterparts from South Korea and 18 other countries), brought the Korean Conflict to a cease-fire. It was not a win or loss. It was a stalemate, although US soldiers were ecstatic when they heard the Armistice was signed on July 23, 1953. This was a great achievement, but it was not a job that, once done, could stand by itself. For while the armistice of 27 July 1953 ended the fighting in Korea, it had not truly ended the war. The armistice was just that - a temporary cease-fire - and not a treaty of peace. It reflected the realization by all parties that neither side had either the will or the means to compel the other to bow to its political agenda. Hence the warring parties had agreed to disagree - to stop the shooting and to transfer the war from the battlefield to the diplomatic field. There the conflict has remained, despite sporadic incidents and border clashes, for half a century. United Nations forces suffered over 559,000 casualties during the war, including approximately 94,000 dead. America's share of this bill totaled 36,516 dead and 103,284 wounded. The enemy had taken prisoner 7,245 Americans during the war. The UN estimated that Communist military casualties exceeded two million dead, wounded, and prisoners. Civilian losses were even more appalling-approximately one million South Korean and up to two million North Korean civilians either died, disappeared, or were injured during the course of the war, while millions more became refugees. Korea is still divided. 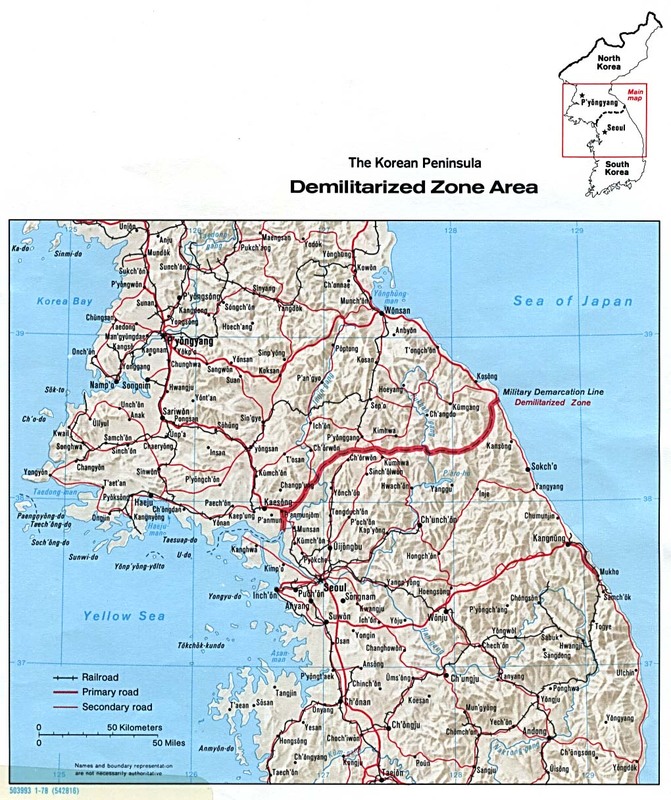 Nearly fifty years after the Armistice, South Korean civilians - for the first time - were allowed to cross the Demilitarized Zone for a 14 February 2003 tourist trip to the North. Bos, Carole "HOSTILITIES TODAY" AwesomeStories.com. Jun 01, 2008. Apr 20, 2019.